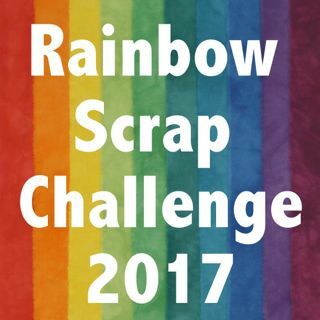 Well we are coming to the end of the blue scraps for the Rainbow Scrap Challenge. I worked on my blocks for the latest Leaders and Enders challenge issued Bonnie Hunter. I got 28 more blocks done and they are more of a turquoise blue not royal blue. The little Black and White square are great for L/E but not so much the strips. I want to shade them, from light to dark. I sewed a few other things and it is great to have the little bits for L/E around. I put them all on the wall together. I like to put the whole months worth of blocks up on the wall at the end of the month. This month these blocks just about fills the wall. I just would not have room to put them all up. I love how 3D this is looking. I have posted to Soscrappy. Go and see what others are making with their blue scraps. Here again is the left and right block. I am using a few different white light fabrics. I have also used up and cut so many different brands of black scraps. I might have to go look for a few more scraps. I know I have some long strips left from the quilt backing, I am sure there are more to be found. While I am off to another Agility trial today with the dog. We are having so much fun. Next week we leave for Nationals. I am getting pretty excited to be going to complete in Nationals. I might not be getting much personal sewing done in the next 2 weeks. Love, love, LOVE your Leader/Ender Challenge!! I like how you just tied it right in with July's Color of the Month for the RSC, too. The Rails and Trails look AWESOME in shades of BLUE!! Those look amazing! Your shading is perfect. Ooh, I love your blocks! Very cool! It does have a 3D look to it! This is going to be an adorable quilt! I love the way these blocks look together. Good luck during the Agility trials! Great blocks. I like the checkerboard in there! Loving your version of Bonnie Hunter's leader/ender! I like how your blocks are coming together! The dark to light setting is really effective. Are you going to continue with blue tones, or add other colors? That 3-d effect is really great. I did a rainbow zigzag for my granddaughter two years ago and it required choosing colors carefully to get the shading effect. Keep up the good work! The shading combined with the high contrast checkerboard is way beyond cool. What a great looking quilt this will be. Definitely see the three d effect. I'm still on the fence about joining this year's leader/ender bandwagon. Your blocks are making it look really really tempting! Beautiful blue rails. I love how the black and white checks set them off. like the way you are doing the challenge. will you do every color or will it be all blue?